This is an awesome product offer for any consumer that desires to eliminate debt and implement an investment plan. 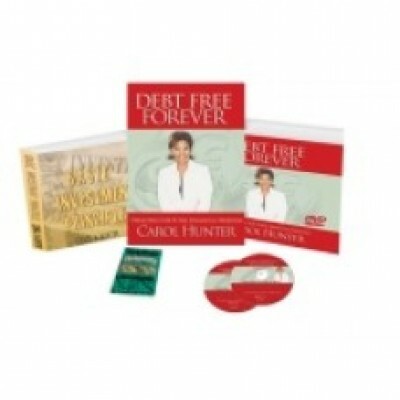 The bundle includes the Debt Free Starter Kit which contains: the Debt Free Forever 100 Page Instructional Workbook, the Forms and Letters CD, Debt Free Forever Teaching Series, Everything You Need To Know About Credit Teaching Series, the 30-day Spending Fast, and the Prosperity Confessions book to encourage you on your journey. The bundle also includes the Basic Investment Series, which is an awesome teaching resource to help consumers understand the concept of investing. Knowledge gives us power. The knowledge included with this bundle deal has the power to help you eliminate debt and grow your money. Make a decision to empower yourself today!